Gath3r.io provides a web-based Cryptocurrency miner that utilizes user's CPU and GPU power, with their explicit consent. We bring you an alternative method to monetize your website or application by using a fraction of your user’s spare computational power, additionally ensuring system safety and transparency. We deliver an additional or alternate form of monetization. Since it’s nonintrusive, it doesn’t degrade the user experience. In fact, it enhances it, because your users can now be rewarded just for browsing your website. Get in on the new way to optimize the way you monetize your website now. We intend to deliver our smart miner to websites and apps, so users can mine multiple algorithms and coins, dependent on the available hash rate and profitability. 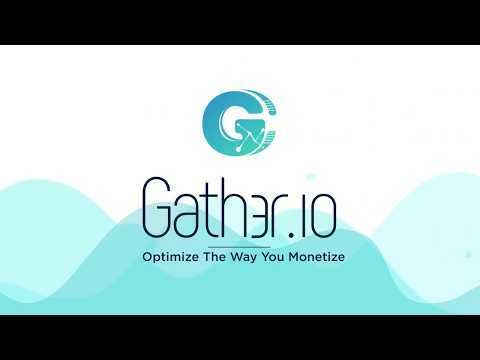 Gath3r centralizes profit without breaching privacy. We let your users enjoy an ad-free experience when running the script in their browsers while they mine cryptocurrency for you. Browser mining has never been safer. Our uniqueness is lies in transparency, and we share the rewards, as well as any risks.